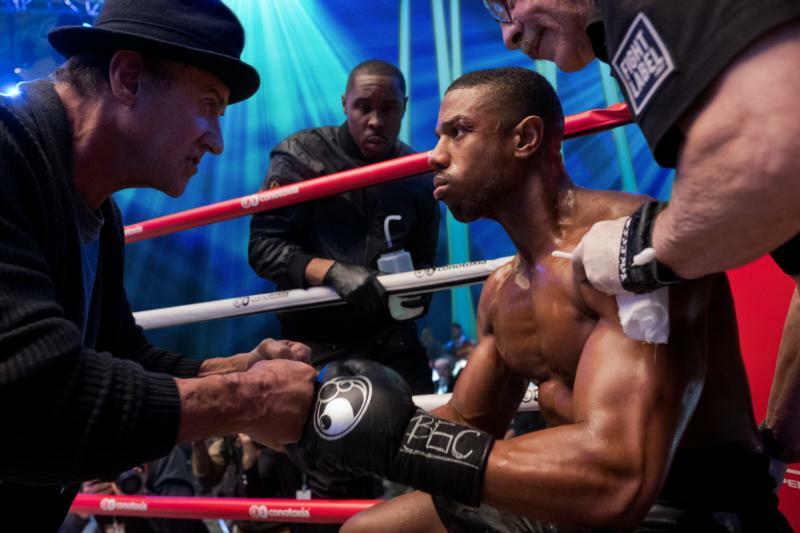 NEW YORK (CNS) — Moviegoers under 33 take note: You had yet to be born when “Rocky IV,” the 1985 film that hovers in the background of the sports drama “Creed II” (MGM), was released. While viewers of any age will know what to expect from this latest extension of the durable franchise long before they buy a ticket, the tried and true, against-the-odds formula still works somehow. Early on in this chapter of the saga, Adonis Creed (Michael B. Jordan), with the help of his hard-driving trainer, Rocky Balboa (Sylvester Stallone), wins the world heavyweight championship. He also proposes to his live-in girlfriend, Bianca (Tessa Thompson), a singer who suffers from hearing loss. Rocky continues to feel remorse over his opponent-turned-ally Apollo’s death and urges Adonis not to accept Viktor’s challenge, a stance that threatens to cause a breach in their close relationship. It’s a conflict Rocky can ill afford since the death of his wife and alienation from his son have left him emotionally isolated. He can still count on the loyal friendship of Apollo’s widow and Adonis’ adoptive mom, Mary Anne (Phylicia Rashad), however. Working from a script Stallone co-wrote with Juel Taylor, director Steven Caple Jr. handles themes of disability, family estrangement and good sportsmanship with dexterity. The filmmakers also manage to instill suspense into this sequel to 2015’s “Creed,” the seventh successor to Stallone’s 1976 original. Parents not put off by some harsh fisticuffs, Adonis and Bianca’s jumping of the marital gun and the occasional S-word may consider giving the green light to mature teens. Like others, adolescents will profit from the movie’s lessons about the rewards of hard work and determination and the need for solidarity among friends and family members. The film contains some intense physical violence, premarital cohabitation and about a dozen crude and at least one crass term. The Catholic News Service classification is A-III — adults. The Motion Picture Association of America rating is PG-13 — parents strongly cautioned. Some material may be inappropriate for children under 13.